By CNN'S YONG XIONG REPORTED FROM BEIJING, AND BEN WESTCOTT WROTE FROM HONG KONG. 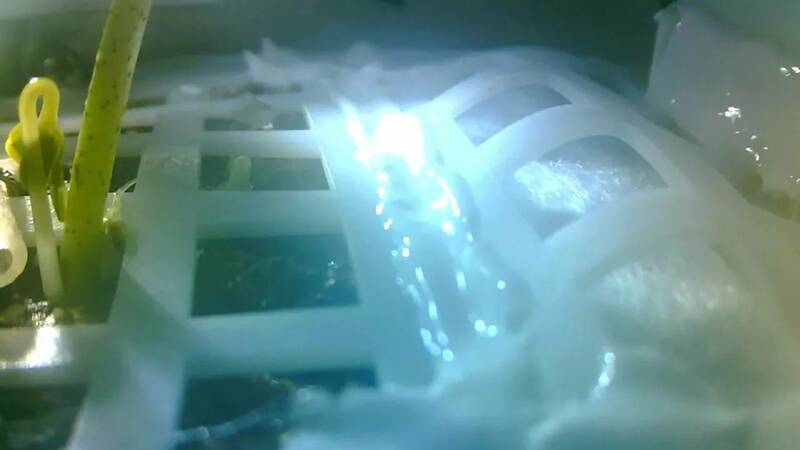 A cotton seed sprouted inside China's probe on the moon, nine days after the experiment began. (CNN) - The first plant to be grown on the moon by humans is likely dead already, Chinese scientists said Thursday. Just days after China revealed a cotton seed had sprouted on a lunar lander and become what was possibly the first plant life to grow on Earth's nearest neighbor, scientists ended the experiment when they shut down power remotely. The seeds were contained inside a special container situated in China's Chang'e 4 probe, which became the first successful mission to the far side of the moon on January 3. Chinese scientists hoped the experiment might help inform future moon colonists' attempts to cultivate food on the desolate body. "Though we have two temperature controlling plates, the temperature was still above 30 degrees Celsius (86 F) around 10.30 a.m. on the moon. As everybody knows, many plants can't sprout with (that) temperature," he said. Xie didn't confirm why temperatures had risen to levels intolerable for the plants despite the measures taken by the research team. Even though the experiment was quickly terminated, Xie said he considered it a success. Aside from the apparent failure of the biological experiment, the rest of China's mission to the far side of the moon appeared on track as of Thursday. The historic mission is intended to accomplish a range of tasks, including conducting the first lunar low-frequency radio astronomy experiment and exploring whether there is water at the moon's poles.